Banks Chase New Chase Offers at Whole Foods, Starbucks, Athleta and More!!! In November, Chase began a new feature for selected cards, Chase Offers. Yesterday, Chase released new offers for both Chase Slate and Marriott cardholders. I also just learned you can register for the program with the Marriott Business Card as well. New offers include Starbucks, Whole Foods and Papa Johns. It’s always nice to see offers for popular merchants. You must login and activate the offer on each account in order to get the credit for using it. What do we know about how these Offers Work? Each offer says Gift Cards are excluded, but I’m not sure that limitation is enforced since most of them are restricted to in-store use. Another interesting tidbit is that there have been reports that if you previously used an offer it may not show up for you again. I found it interesting that when I filtered my offers by “Newest First”, Athleta, an offer that I believe I’ve seen before showed up first, followed by Starbucks. I hadn’t used the Athleta offer, so now I’m wondering if these offers are simply rolling until you use them. I would love to hear some of your experiences! Chase Offers have included some of the best and most popular stores. The Whole Foods Offer is a home run, it’s tough to beat 40% off at supermarkets. 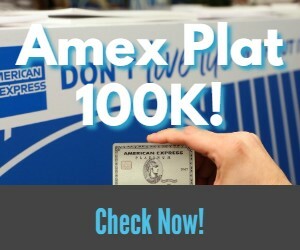 I’m interested to see how the program evolves over time and whether it expands enough to become a true competitor for Amex Offers. Previous articleFinally A Decent Spending Offer! The Chase AARP Card Comes Out With A Home Run!! Next articleRound Trip from Denver to LA or Vegas for $39!! Other Ridiculously Low Fares on Spirit and Frontier Today. So the Marriott card is the only one that gets the offers? Yes, Marriott and Slate Cards- still trying to figure out the logic behind that?!?!? !